Stopping yourself from spending money and wasting money is often not as hard as you think. We often psych ourselves out of saving money because we think that it has to be harder or more elaborate than it really needs to be. But, the truth of the matter is that there are tons of easy ways to save money right now without even having to think about doing it. Here are some of my favorite easy ways to save money without having to think about actually saving money. But, I am a huge fan of using credit card sleeves to control your spending. Sounds kind of counter intuitive, right? I write directly onto these card sleeves that come with your ATM cards, the plastic key card from hotels, and other cards that you collect. There are even a few in Dave Ramsey’s Financial Peace kit. Plastek Cards even makes custom sleeves too. These card sleeves are easy ways to save money without even realizing that that is what you are doing. It is sort of like tricking yourself into saving money and not spending it on frivolous things. It is very hard for me to reach for a credit card or my ATM card if I see one of my family’s financial goals, like a summer beach vacation, written down right there on the card sleeve and staring right back at me every time I reach into my wallet. I am also very bad at carrying the grocery store loyalty cards and other store loyalty cards. Instead of asking someone around me to borrow their card or making sure that I’m carrying the loyalty card before hand, I typically continue with the purchase anyway, missing out on the deal or coupon associated with using the loyalty card. Like coupons, this one bad habit alone costs me probably $100 or more every year. There are so many loyalty cards that stores give to their customers now. There is no excuse not to carry your favorite store’s card and save. 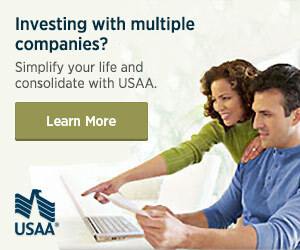 It is one of the easiest ways to save money without having to think about it. You just hand over your card. There are even applications on your smartphone that you can download to help you keep track of all the loyalty cards as well if you forget to carry the physical ones. One of the biggest wastes of money that I commit is by not using coupons. I have every intention of using them and carry coupons with me. But, I typically get through the cash register and forget to even hand the coupons over to the cashier. I estimate that I lose $50 to $100 every year by not using the very coupons that I’m carrying with me when I make the purchases. I’m not sure when the fix is. I could carry the coupons in a special place in my wallet where I am sure to see them. Or, I could try and put the coupons in the credit card sleeve where I carry my debit card. This is definitely a problem and a place where I waste money. A few dollars here and there may not seem like a lot, but it can add up over time. What about you? Am I the only one who carries coupons but forgets to give them to the cashier? Please tell me that’s not the case. There must be others out there making this simple mistake. I’d love to hear from you in the comment section below. I never fail to carry my loyalty card with me everytime I go out on a grocery or buy something in a mall. Really saves me a lot. There are so many. I have trouble keeping up with them all. That’s why I’m always forgeting them and don’t carry all of them. The merchants can often look up your loyalty info. This happened to me at Panera today – still received $1 off a drink even though I didn’t have my card. I also use an Epic Movie Theater Loyalty card. I’m an avid movie-goer. Lots of free tickets, drinks, and popcorn. I often find that merchants have trouble finding me in their computer system when they try to look me up. Then, I just end up giving up and having to pay full price. I’m intrigued by this credit card sleeve you mentioned. Interesting use of it.